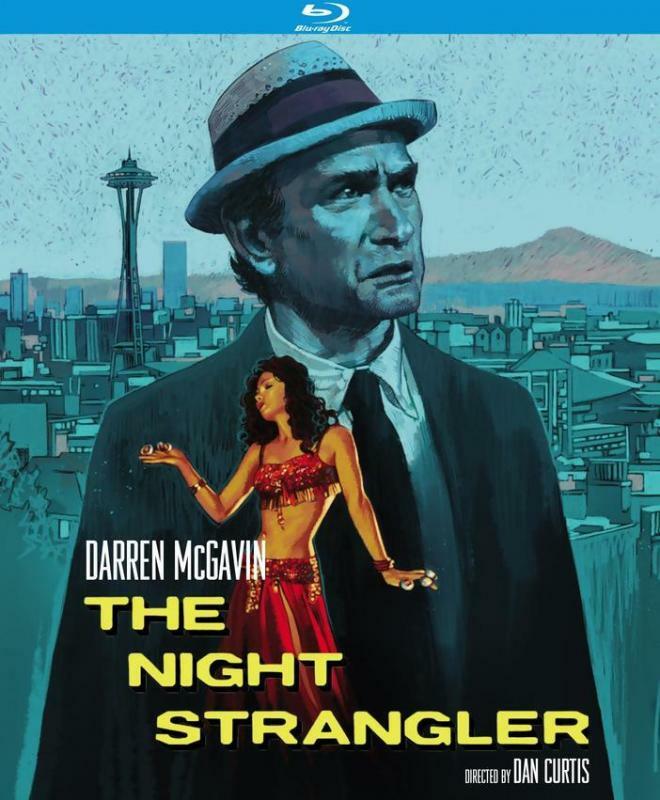 Darren McGavin returns to the small screen as investigative reporter Carl Kolchak in The Night Strangler. Dan Curtis steps in to direct while Matheson returns to his writing duties creating a new creepy supernatural creature in a film that is suitably content with rehashing the highlights of The Night Stalker. It may not be as new or original as the first film but Strangler is still a great ride largely due to McGavin and the rest of the cast. Kino Lorber Studio Classics delivers another great Blu-ray with a beautiful A/V presentation and another nice round of bonus features. Let's hope the complete TV series isn't far off. Recommended. "This is the story behind the most incredible series of murders to ever occur in the city of Seattle, Washington." 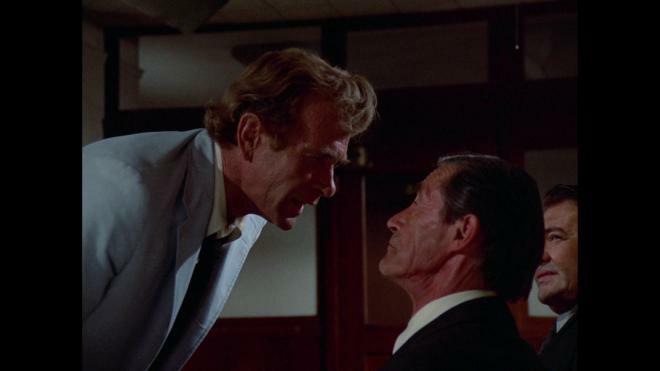 After getting the bounce out of Las Vegas, Carl Kolchak (Darren McGavin) is about as washed as washed up can be. Landing in Seattle, he's stuck peddling a book he's written about his adventures fighting a vampire that no one wants to buy. In a chance encounter, he bumps into his old editor Vincenzo (Simon Oakland) who gives him a pity job working the city beat. 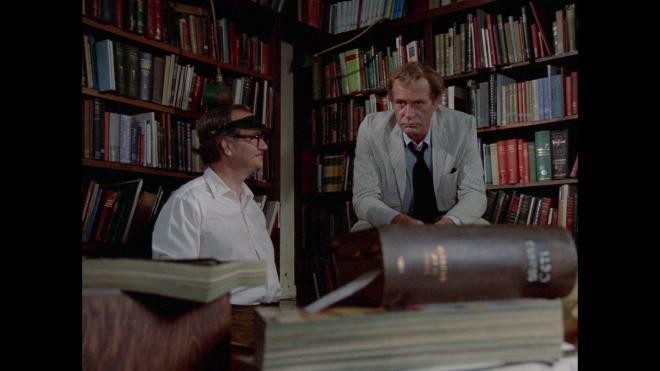 Vincenzo's kindness towards Kolchak is short-lived when another mysterious supernatural force starts killing off the good citizens of the city. As Carl digs deep into the mystery, he'll again rub against all the wrong people as he plumbs the depths of old Seattle for a killer who may be over 100 years old. Maybe one can have too much of a good thing. After the phenomenal unexpected success of The Night Stalker, network bosses were seeing dollar signs and a sequel was rushed into production. The old crew was reassembled. 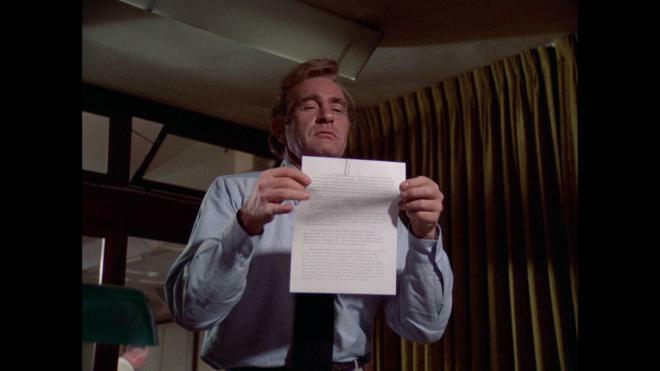 Darren McGavin and Simon Oakland were quickly rehired in their respective roles of dedicated reporter and frustrated editor, while Richard Matheson came on board to cook up a new wild and fantastical monster for Kolchak to investigate. Stepping into the director's chair was producer Dan Curtis who brings a little bit lighter and humorous touch to the show. If there's one thing that harms The Night Strangler it's the overriding sense of familiarity. Like an average sequel, the recipe of success was "do the same thing again, but different." It's this feeling of "been there" that holds Strangler back. It's still a hell of a lot of fun, but surprises are relatively few. What we get that works is all of the best stuff from Stalker but repacked with a different monster. It may not be as exciting as Stalker, but then it wasn't trying to outdo the original. It gets by on its good graces enough, with some more great characters and solid performances, that it doesn't completely feel like a cash grab and is better than your average sequel. Plus, you've gotta love any movie that finds a way to squeeze in bit roles for John Carradine and Al Lewis! Given how I came to find the TV show and eventually the movies that spawned it, it's hard for me to watch The Night Stalker without firing up this second movie immediately after. At a swift 90-minute runtime without commercial brakes, this film moves quickly without wasting time. You can breeze through both in about three hours. Stalker and Strangler are not the most amazing pieces of American television ever made, but they're a heck of a great time and form the perfect double feature. The characters are well written, the plots are detailed enough that you get hooked without having to sift through too much filler. It's smooth and efficient entertainment that knows when and how to hit the right notes to keep your attention and give you a fun ride. Keep these movies on tap for a cold dark fall night. The Night Strangler slips its way onto Blu-ray courtesy of Kino Lorber Studio Classics. Pressed on a Region A BD-25, the disc is housed in a standard sturdy Blu-ray case with identical slipcover artwork. The disc loads directly to a static image main menu with traditional navigation options. Also included is a booklet featuring another great essay by Simon Abrams. Like Stalker, Strangler is reported to have been sourced from a fresh new 4K restoration. After watching both movies side by side, I'd say the efforts complement each other. They're not quite perfect, but they get pretty damn close for a pair of 1970s movie of the week flicks made on small budgets. Strangler sports an impressive level of detail allowing facial features and clothing to come to life. 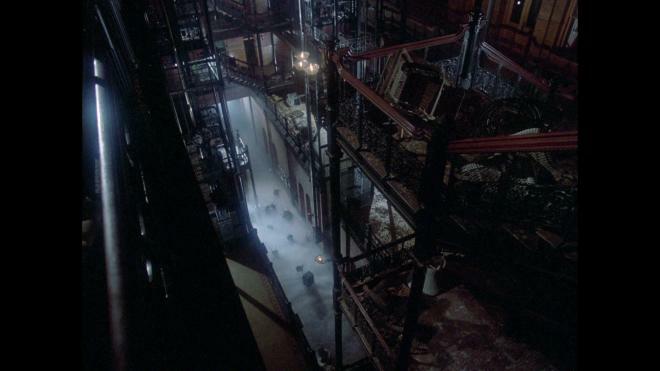 The production design is pretty simple - until the show moves down into the depths of Old Seattle. The set design work is great and the clarity of the image helps you appreciate the work that went into it. Colors are on point with solid primaries and healthy flesh tones. Black levels are also top notch with some truly inky blacks that give the image a notable sense of depth. Like its counterpart, there is some semi-persistent speckling throughout and there was one particularly heavy patch - but that was thankfully very brief. All around, I'm very happy with the transfer here and I'm glad that Kino put both films out side by side rather than staggering the releases. Also like The Night Stalker, The Night Strangler enjoys a modest and effective English DTS-HD MA 2.0 audio mix. Dialogue is clean and clear throughout. Like the first film, this is a dialogue-heavy show with conversations driving most of the plot. Action sequences are robust, and the shootout scene is pretty lively but, for the most part, it's all pretty standard stuff. Sound effects are lively enough when called for and busy rooms offer up some good imaging. Like Stalker, it's not very dynamic, leaving Bob Cobert's jazzy score to fill the dead air while McGavin gets to continue his monologues. There is some slight hiss but it's nothing too distracting. Kino Lorber Studio Classics continues its track record for providing the Kolchak films with some worthwhile extra features. Again we get a great commentary from Tim Lucas. The interviews, while not lengthy, do provide some insight to the show. The Dan Curtis interview still looks wonky, but even if it looks like a crappy old VCD, it's still a worthwhile watch. Audio Commentary featuring film historian Tim Lucas. 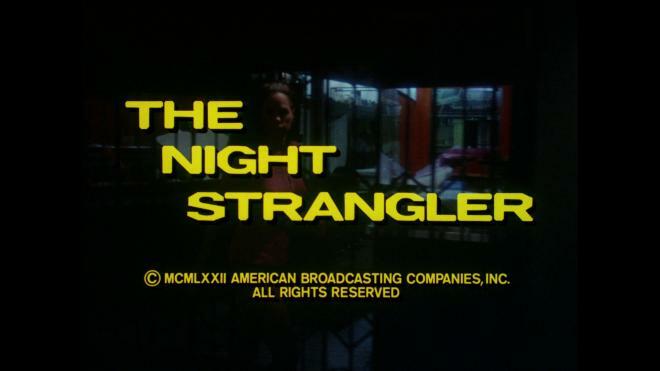 The Night Strangler may not be a perfect sequel to The Night Stalker, but it is still a heck of a good time. The film gets by on its natural charms and great cast while being a bit too over-reliant on familiarity for its own good. It may not feel as fresh and new as the original, but it does have some unique tricks up its sleeves. Kino Lorber Studio Classics once again delivers a terrific Blu-ray experience with a solid A/V presentation and a few worthwhile bonus features. If you loved Stalker you'll enjoy Strangler. Let's hope the complete series is on its way to Blu as well. Recommended.